She has worked in dental technology for a total of over 25 years and initially gained experience in different laboratories and on various training courses. Her particular speciality was in all facets of the aesthetic ceramic restoration sector. The switch to industry was a logical step: she worked in Germany at Vita Zahnfabrik, Bad Säckingen as a technical application consultant for over 12 years and, through continuous practical and theoretical training and advanced training in all areas of dental technology, ultimately as a course instructor. This work took her to all continents with a focus on Asia. As an experienced specialist in the metal-ceramic and all-ceramic sector as well as CAD/CAM materials she has enriched the Amann Girrbach trainer team since 2014. Experienced in dental technology for almost 2 decades Thomas Gienger is a “dental-all-rounder”. His know how was built in the dental lab as well as in the dental industry. From the very beginning he was involved in Amann Girrbach´s CAD/CAM technology. With his long training experience he has helped hundreds of technicians to step into the digital world of dentistry and let them find out the fascinating possibilities of the new technology. His long experience also takes him to international conventions, road-shows and seminars. Following her training as a dental technician at the Isenberg dental laboratory in Bönebüttel, Germany, Ineke Knill attended the polytechnic in Osnabrück, Germany where she was awarded the title “Graduate Engineer in Dental Technology”. She wrote her diploma thesis on testing and evaluating methods for testing the precision of dental optical digitalisation systems. For more than seven years Ineke Knill has made use of her practical skills and technological knowledge in the research and development department at Amann Girrbach. She was involved with development of the Ceramill system and is responsible for the Ceramill D-Flow full denture software project. Dental technician apprenticeship and studied at the Dental Academy in Baden/Vienna, 1988 graduation with honours. Subsequently, Mr Miller expanded his knowledge in the area of ceramic, gold, milling and combination techniques. Since 1996 he is lectoring for companies in the dental industry. As instructor and trainer he continuously broadens his spectrum of knowledge on an international scale. In 2005, Teamwork Media published his dental textbook “individualitas naturae dentis - individualitas dentis naturae“, which is one of the publishing house’s best-selling titles to this day. 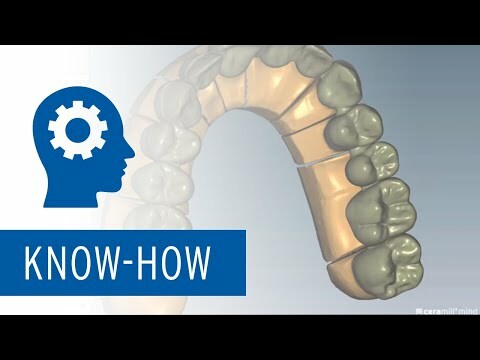 His teeth forms are by now integrated into the Ceramill Software as a high-end Tooth library. After about eight years working in the dental technology sector (Dental Laboratory Glaser; Boblitz/Brandenburg, Germany), during which he mainly specialised in the fixed/removable and implant prosthetics, Falko Noack decided to study at the University of Applied Sciences Osnabrück. After four years at the university he gained the title Dipl.-Ing in Dental Technology. During his study time he worked at the university on various projects in the field of metallography and material testing of dental materials. The topic of his diploma thesis was the development of a process chain for a zirconia pre-sintered blank manufacture. He then applied his practical and technological knowledge in research and development at Amann Girrbach, especially in the field of zirconia production and application technology. Falko Noack is now head of the Research and Development Department at Amann Girrbach. Following training and a successful working period as a dental technician (Dentallabor Nikolaus & Sperlich, Dingolfing, Germany) Axel Reichert gained the title of Graduate Engineer in Dental Technology at the University of Applied Sciences, Osnabrück, Germany. He has applied his practical and technical knowledge for 10 years now in the Research & Development Department at Amann Girrbach, particularly in the material development sector and CADCAM. Axel Reichert was involved in many development stages of sinter technology in the sectors of powder metal and high-performance ceramic and was project manager during development of the Ceramill Argotherm and Argovent furnace system. Axel Reichert is now team leader of material development. Dental master technician and laboratory manager at Lindauer Zahntechnik in Germany. Following his university entrance exam in 2006, Hanno Moritz Hagen began studying dentistry at the Eberhard Karl University in Tübingen and graduated in 2013. Since 2013, he has been working as a research assistant at the Department of Prosthodontics with sections "Medical Materials Science and Technology" and Propaedeutics (Medical Director: Prof. Dr. H. Weber) at the University Hospital, Center of Dentistry, Oral Medicine and Maxillofacial Surgery, Tübingen. His treatment focus is on fixed, combined fixed-removable dentures as well as complex functional rehabilitation. He is also a qualified investigator at the "Study Office for Medical Devices" of the University Hospital Tübingen. Laboratory Manager at Dentaltechnik Dr. Lerner, Germany, as well as course instructor for Amann Girrbach for the Telescope Technique with Ceramill Sintron. 1992 after apprenticeship for dental technology he worked as dental technician at School for Dental Medicine, Tübingen, DE. Five years at a renowned laboratory in Stuttgart were followed by a collaboration with Kenneth A. Malament DDS, MScD, in Boston, USA and support as visiting lecturer the Postdoctoral Program for Prosthodontics at Tufts University, School of Dental Medicine and Harvard School for Dental Medicine in Boston, USA. In 1999 he achieved his master’s degree and was co-founder and part owner of Bodensee Dentaltechnik AG in Meersburg, DE. Today he is running the Bodensee Oral Design Center, located in Überlingen, DE. The laboratory is specialised on fixed prosthesis with All Ceramic Systems. He gives presentations and courses on All Ceramic, minimal invasive restorations, implant borne prosthesis, CAD/CAM technology and reports on his 15 years experience with laminated Zirconia and more than 10.000 Units in Europe, United States and Asia. MDT Benjamin Votteler completed his final dental technology exam in 2001 as the best student of the year. He then worked in various laboratories and gathered a large amount of practical experience from 2001 to 2005 with well-known dental technicians in the greater Stuttgart area, Switzerland and California. In March 2006 Benjamin Votteler passed his Master’s exam in Stuttgart. Since then he has managed a dental laboratory in Pfullingen, Germany, with his father. Benjamin Votteler is well-known internationally as the author of numerous publications as well as for lecturing. He focusses on fabricating all-ceramic restorations which he teaches in practice-orientated workshops. Dipl.-Ing. (FH) Michael Gödiker completed his dental technician training in January 2002. He then completed the Dental Technology degree course at the University of applied sciences Osnabrück until the beginning of 2006. From January 2006 he was employed at C.Hafner (Pforzheim, Germany), where he also previously wrote his diploma thesis. He has been employed at VITA Zahnfabrik (Bad Säckingen, Germany) since 2008 as head of special divisions in the Research & Development Department and is responsible there for pressable-ceramics, framework materials (ZrO2) and the glass-ceramic VITA SUPRINITY.